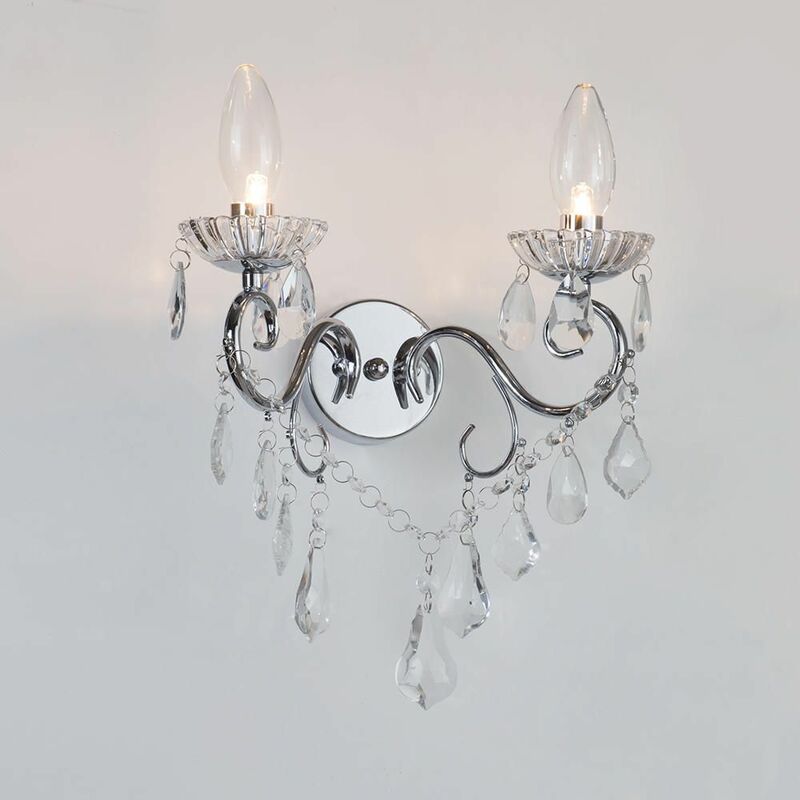 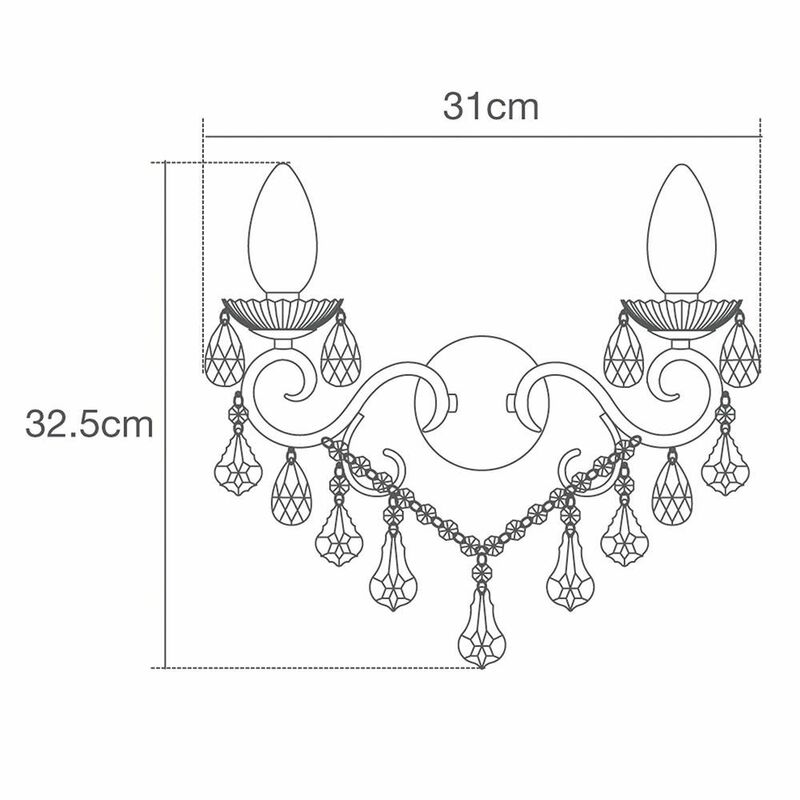 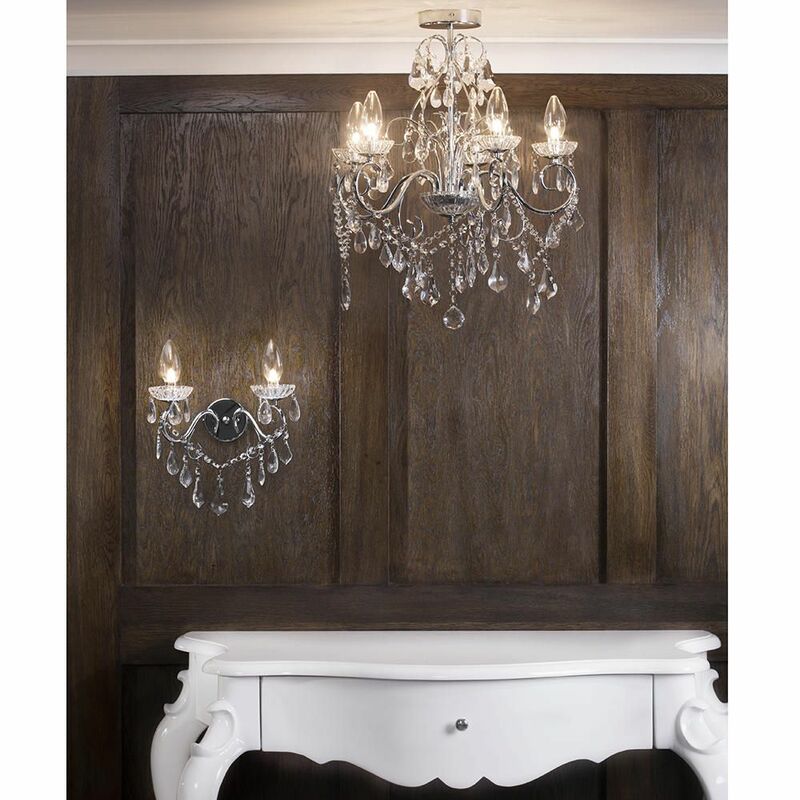 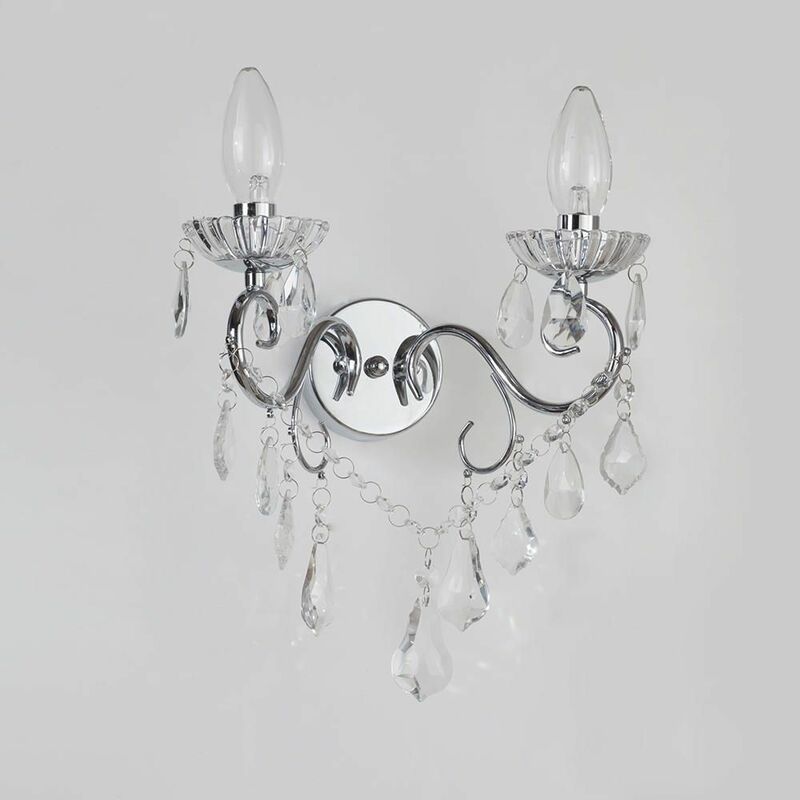 This decorative wall light integrates elegant crystal effect droplets into its designs for a more sophisticated look, whilst the 2 light design gives a practical pool of accent light to the interior. 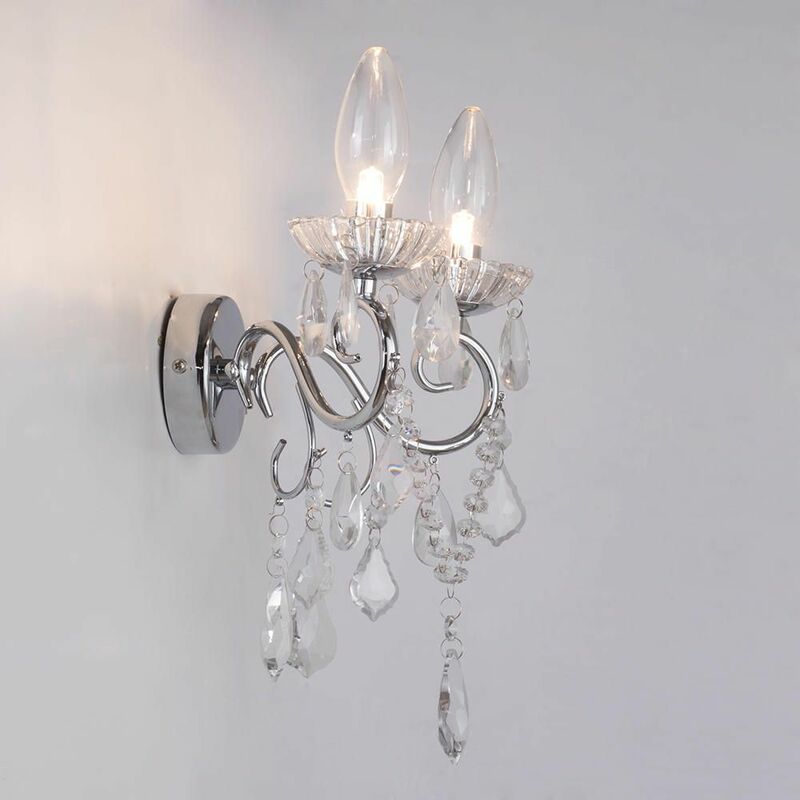 The sophisticated chrome structure gives a modern twist to this wall fitting, which can be used in any area across your home, including the bathroom thanks to an IP44 rating. 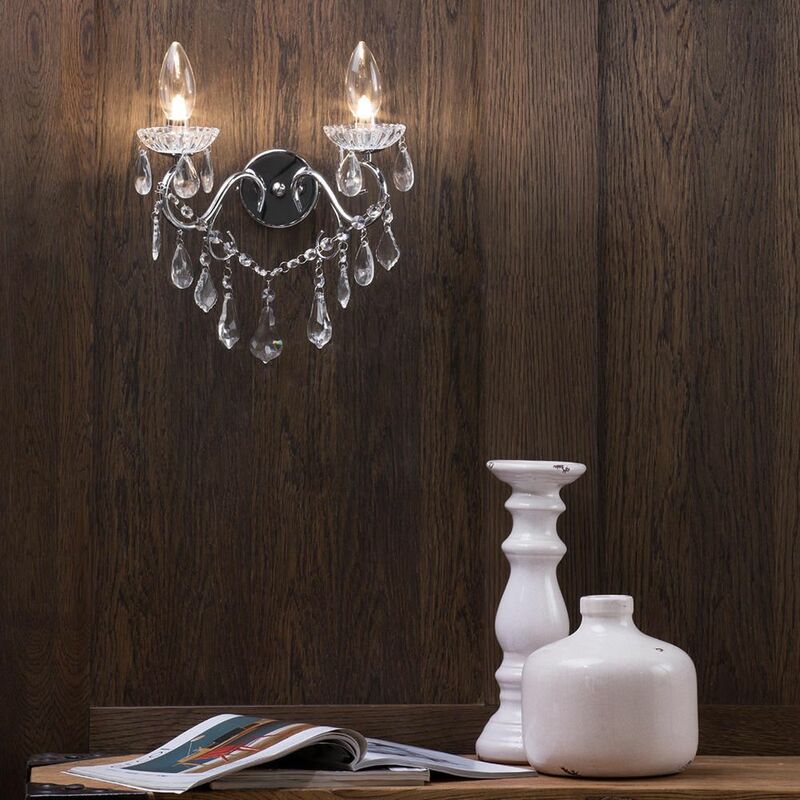 Vara is an LED compatible wall light, allowing you to utilise energy efficient bulbs in your interiors. 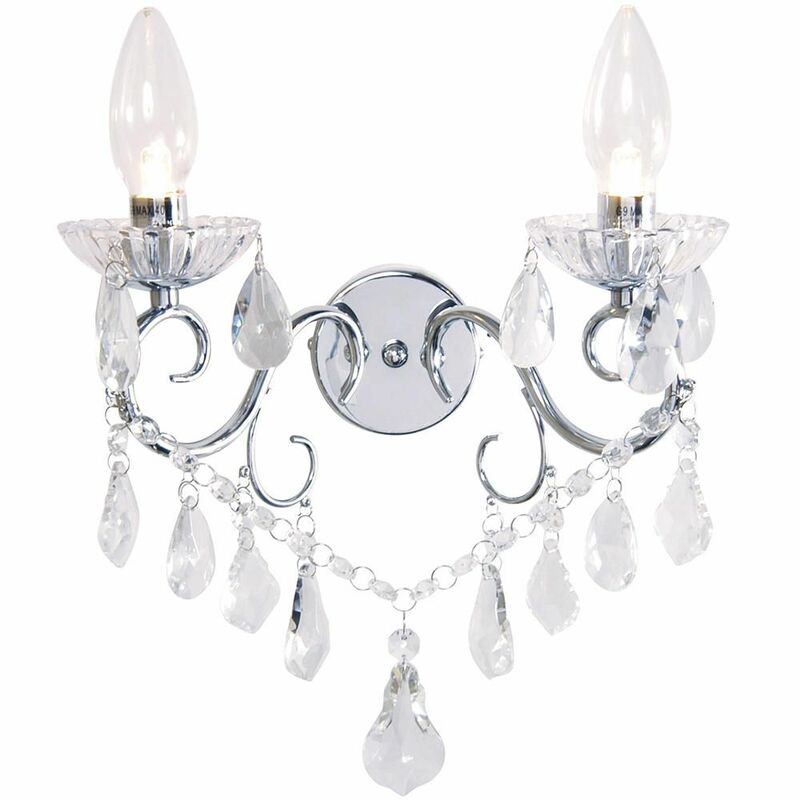 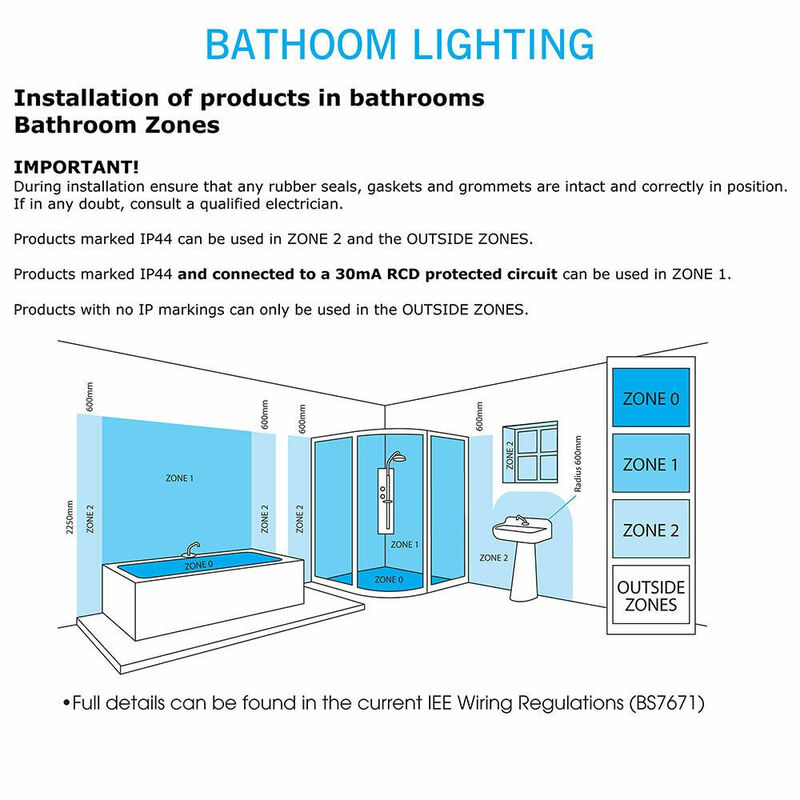 compatible with energy efficient bulbs.